A tribute to Charlie Hebdo #JeSuisCharlie. How can we stay carefree and light today? And yet, we remember and send thanks to the values and courage of people like you, who were swept away, we can choose and approach life with a desire for beauty. This is the ultimate ideal of freedom that we will carry on through Plume Travel Magazine and its light travels. A snub to violence and obscurantism. But for today we show you our respect and we honor you. 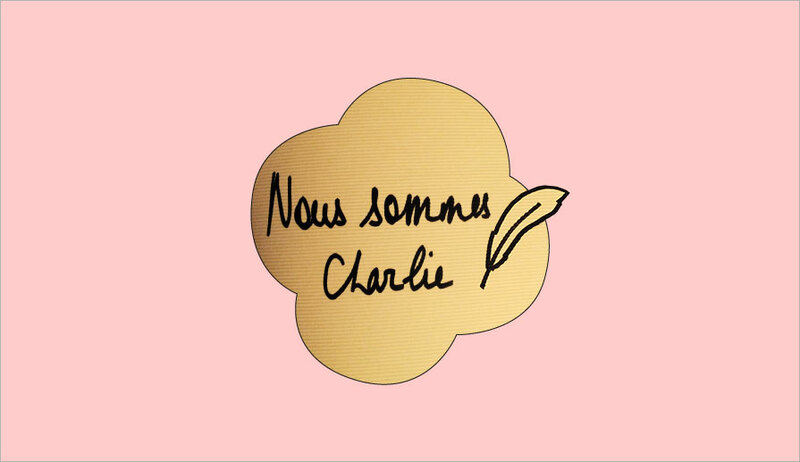 Following the earth-shaking events at the Charlie Hebdo offices, we didn’t have the heart to send you our usual newsletter that seems so far from the happenings that have unfolded before our very eyes, leaving us powerless and deeply affected. It seemed imperative to us, like many others, to pay homage to victims and to dedicate our cover page to their memory and their freedom of expression, in our own humble and discrete way. For many of us, Charlie Hebdo moulded our childhood and we grew up with him. He was a central part of our education. Every week, artists and journalists chose humour and satire as a main channel to express themselves. And there is nothing more masterful, more expressive and more unifying than a picture, which speaks volumes even at just a glance, with no need for a translation. What is more direct, more final, more effective than that? Without touching the same level of influence but simply, in our own way, at Plume Voyage Magazine we have chosen to highlight the beauty of actions, the lightness of travel, every voyage and the transmission of knowledge, creation and initiatives of artists and their languages. We are all aware that without defenders of free will, both of freedom and expression, every means of communication would not be able to discuss lighter subjects. They seem quite futile compared to the tragic events that have happened in France and around the world. But after the amazing rally on Sunday, the pride provoked by this calm force, the hope raised by this passive uprising and this natural expression of solidarity, we are further persuaded that our role is to continue to inform, describe, relate and write about beauty, creations, artists, imaginary journeys or anything lighthearted that makes us smile and does some good in the world. In our way. Stay positive. Relay the information. Travel. Imagine. Create. Look. And draw.